Gentiana occidentalis is native to the Pyrenees Mountains and is similar and belongs to the acaulis complex (=subgenus Ciminalis) with the same same dark blue trumpets. 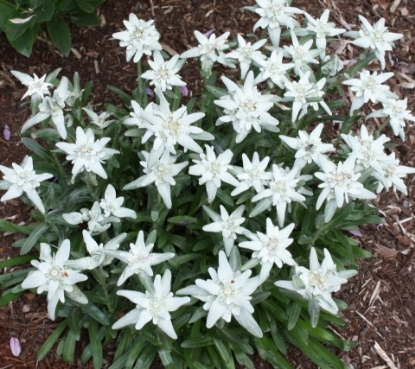 The plant grows slower and has narrower leaves than most others in this group. 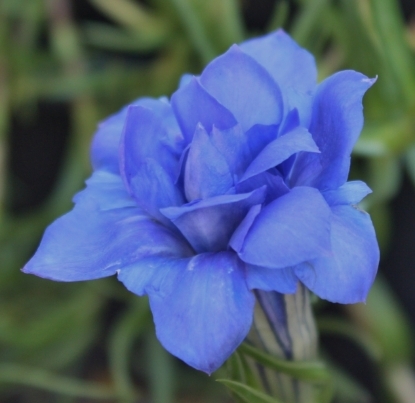 This particular selection at hand we received from our regular Swiss gentian source in 2007. 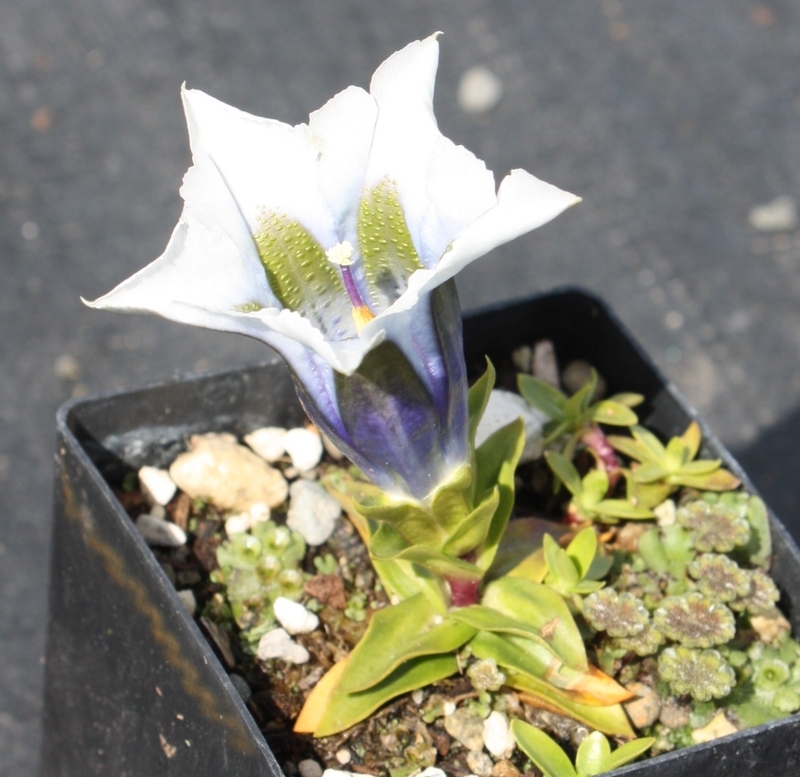 We observed it grows slower indeed! 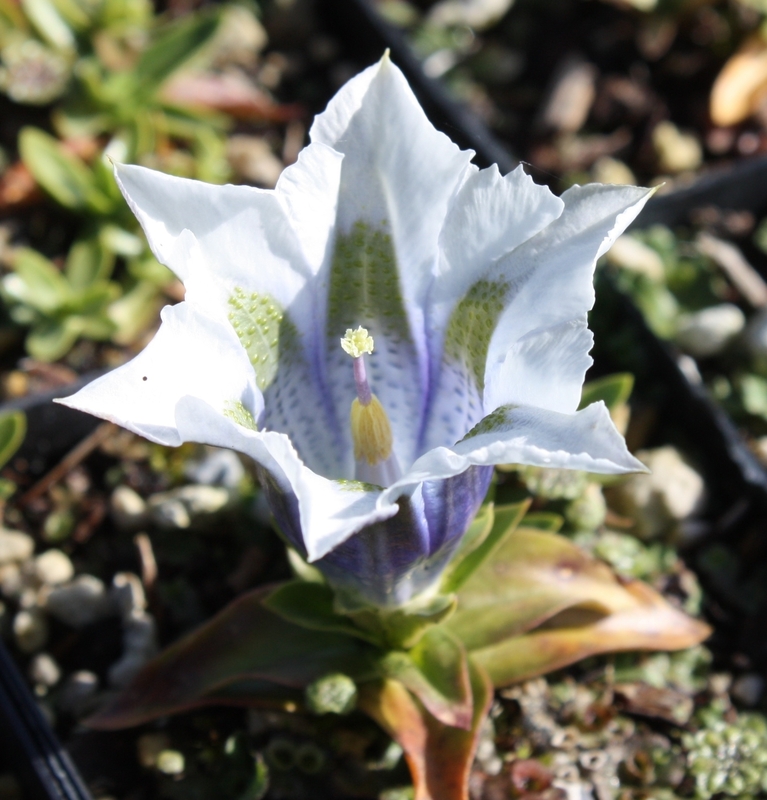 When it finally bloomed (it's normal for gentians to take a while after being uprooted - no pun intended - from the home country, or continent, rather), I was besides myself, not having seen anything like it. 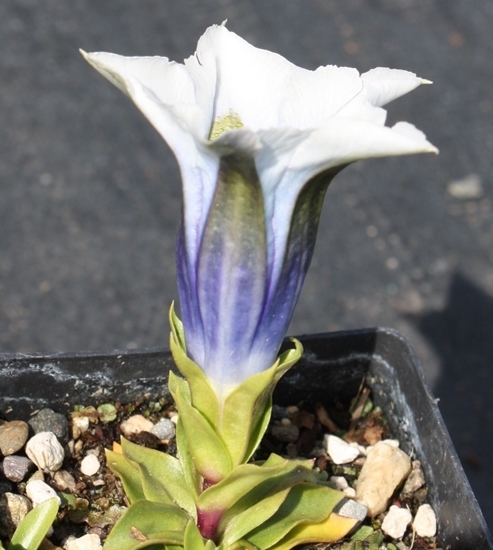 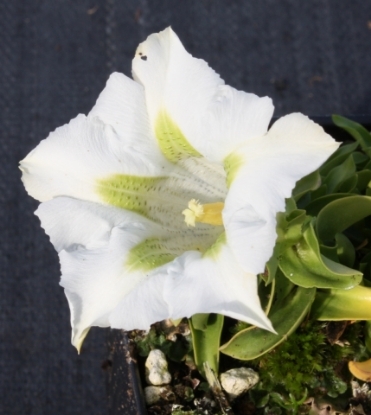 While there are several pale/light blue trumpet gentians, this one is two-tone dark blue and pure white with a yellow-green interior. 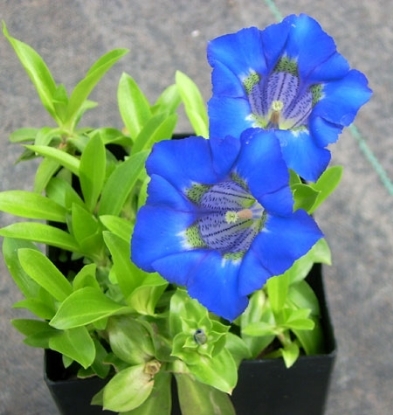 As I said, very slow and recommended for collectors, experienced gardeners and the plain adventurous. 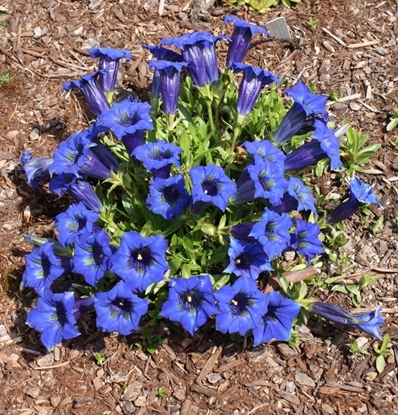 Ideal for troughs and tight spots in a rock/crevice garden.